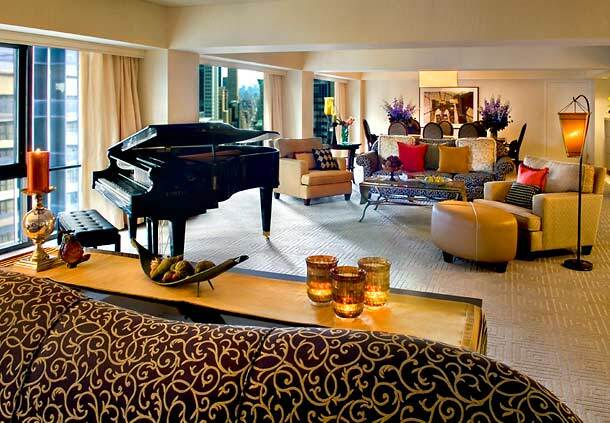 Marriott Marquis – Times Square – All Tickets Inc. 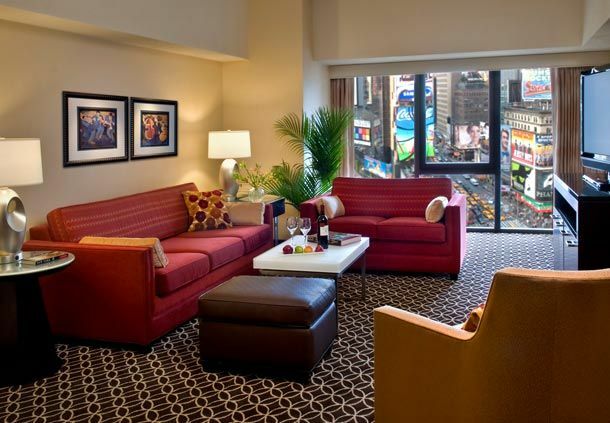 The Marriott Marquis Times Square is well known for its wonderful service, accessibility to New York’s attractions and experiences, and focus on luxury guestrooms. 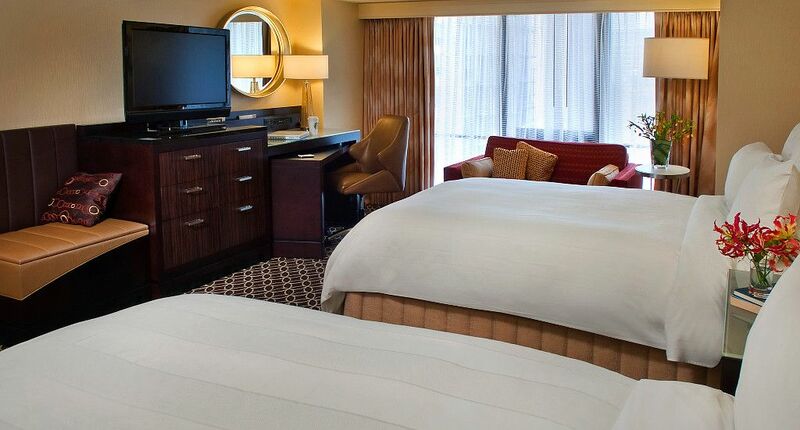 Richly appointed rooms, topnotch restaurants, and plenty of complimentary amenities are yours. 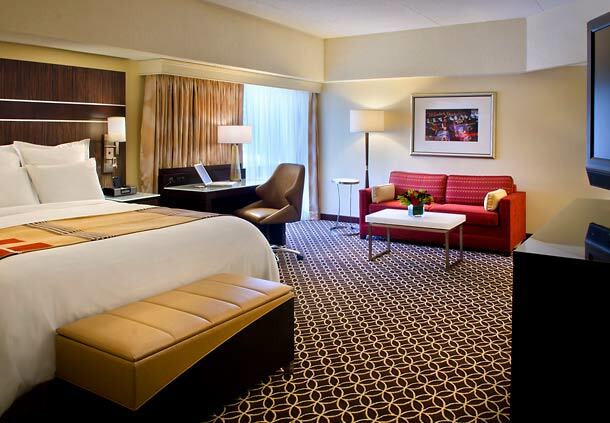 Spacious guestrooms include plush furnishings, all of which exude the finest modern, contemporary styling. 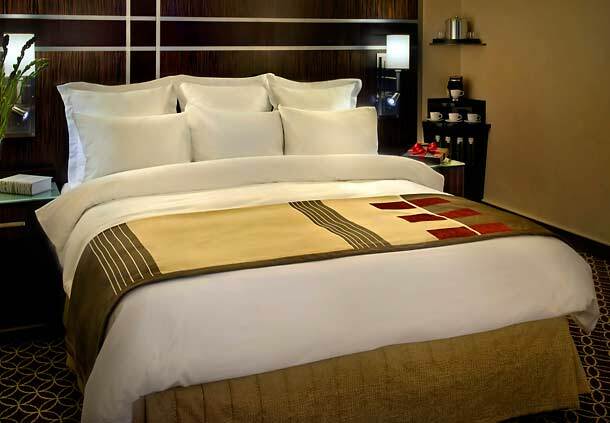 The beds, which are some of the finest around, include Marriott’s luxurious Revive bedding sitting atop ultra-comfortable featherbeds and fluffy pillows. Relax and enjoy your high tech HDTV, premium movie channels, and high-end coffee maker. Baths include granite counters and high quality, spa-inspired amenities. 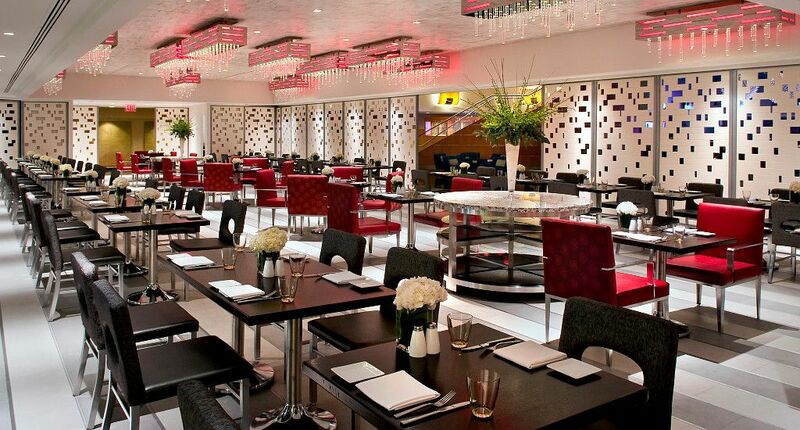 Numerous restaurants and lounges offer guests numerous choices, from simple fare to fine cuisine. The Broadway Lounge is a favorite for many looking to enjoy great drinks with dinner, snacks, appetizers, and more. 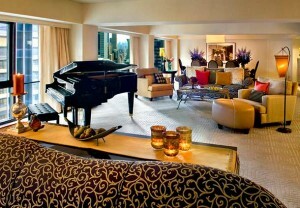 This is a great spot for pre- or post-show show get-together, to relax with friends, or watch the big game. Looking for elegance, the there is The View Restaurant and Lounge. The chefs at The View use the freshest ingredients to create truly amazing American-based dishes. Aptly named, The View provides dining guests with a magnificent perspective on the city day and night. The Crossroads is a favorite for burgers, salads, and soups, while the Coffee House features Starbucks® and some of the richest pastries you’ll ever taste. 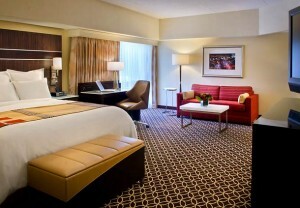 The Marriott Marquis Times Square is a premium hotel in everyway. Included is a topnotch, fully equipped 24-hour fitness center, a range of amazing restaurants, and richly appointed rooms. 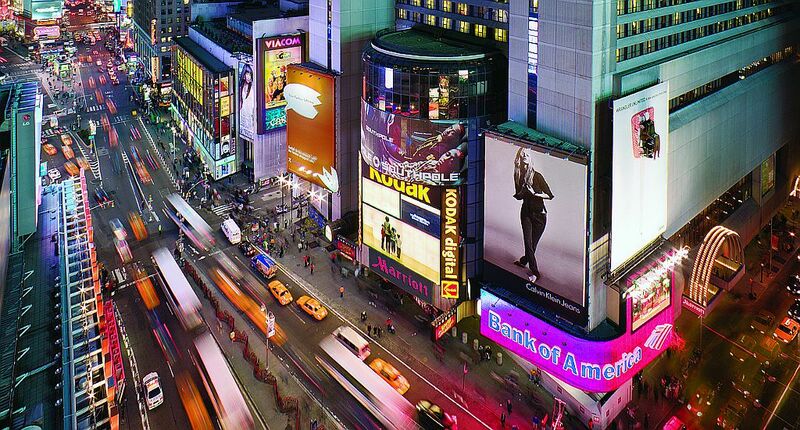 Convenient to Broadway and many of New York’s prized attractions, the Marriott Marquis Times Square is a remarkable hotel.